If you've followed my blog for long enough you'll know that there is one type of food I love more than anything else. Morning, night, and any time in between I'm always on board to enjoy a bowl of noodles. Meals in a bowl are picking up in popularity - they're quick to prepare, delicious, and usually nutritionally complete. 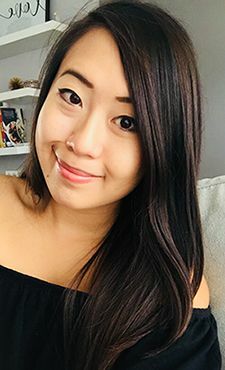 Last month, Edo Japan rolled out some new bowl-centric menu items as their interpretation of the trend and they asked if I would be willing to host a party to learn about and taste some of the new items. One of the items was a noodle bowl, so of course I couldn't say no. I gathered a bunch of friends together for a fun evening at Edo Japan's Windermere location. We've all had Edo Japan at some point or another (hello post-secondary years! ), so we were all curious to see what the bowls would be like. Edo's two new items include the Noodlefull Bowl and Chop Chop Bowl. 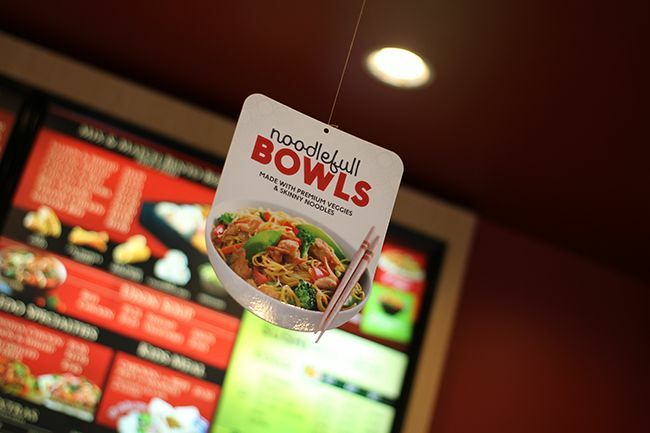 The Noodlefull bowls feature a bed of thin ramen-style noodles topped with a stir fry of fresh snow peas, broccoli, carrots, and red peppers. Each bowl is made to order with Edo's signature Teriyaki sauce and served with your choice of grilled chicken, beef, shrimp, or additional vegetables for a vegetarian option. The bowls were generously portioned, and the chewy egg noodles were a nice change from the usual yakisoba noodles Edo Japan is known for. 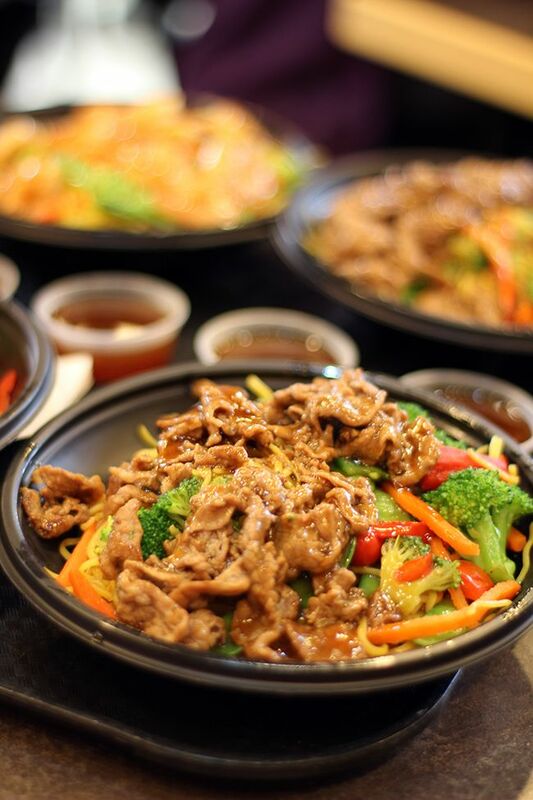 The Chop Chop Bowls on the other hand offer a choice of beef, chicken, or tempura shrimp layered on top white or brown rice and fresh raw vegetables. 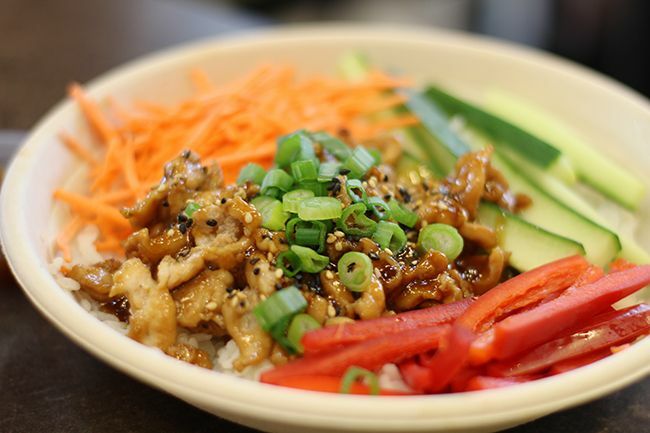 Each bowl is finished with their new savoury bulgogi sauce and garnished with green onions and sesame seeds. We all agreed that the name was a bit misleading as we all imagined seeing raw scallops in a rice bowl, but the Chop Chop Bowl was a great fresh option with the raw cucumber, carrots, and red peppers. The Chop Chop bowl is only around for a limited time, but I would actually love if it became a permanent menu item - it's healthy and the raw vegetables make the bowl feel light and fresh. Of the two bowls we tried there was no real consensus of whether we enjoyed one bowl more than the other, but I personally feel that the Chop Chop bowl is a fresh, tasty option for when you don't feel like eating anything heavy on hot summer days. 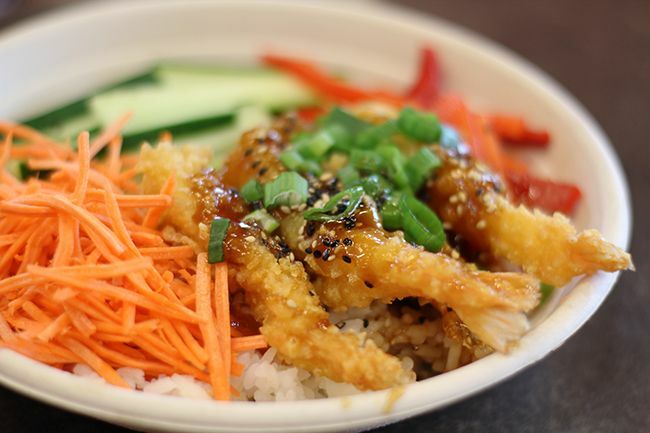 This is probably the only time I'll prefer rice over noodles, so you'll want to try the Chop Chop Bowl while it's still around! A big thank you to Edo Japan for helping me host an #Unforgettabowl party! But of course I didn't forget about my readers - Edo Japan has kindly offered a $40 gift card to one of my readers to have an #unforgettabowl meal of their own with a friend (or two!). Head on over to my Instagram for all the giveaway details. Good luck! *Disclosure: I was asked to host a social media party in conjunction with Edo Japan's new menu items. Views expressed in this post are solely mine. This post is 100% my opinion, and as always, my priority is to you, the reader, to present an unbiased, thorough review. Looks delicious! Cannot wait to make one! Oh Yes, Ono: 'Ono Poke Co.